Home Development API Will Spotify Stock Plunge or Soar? Spotify is pursuing an unusual direct listing and is not looking to raise capital. Direct listings have typically been used by smaller companies that don’t anticipate much trading volume; the median market capitalization of these companies is $530 million. In contrast, Spotify is currently valued around $19 billion. Spotify is bypassing the underwriting process. Consequently, Spotify won’t predetermine which buyers receive which portion of the company’s shares. 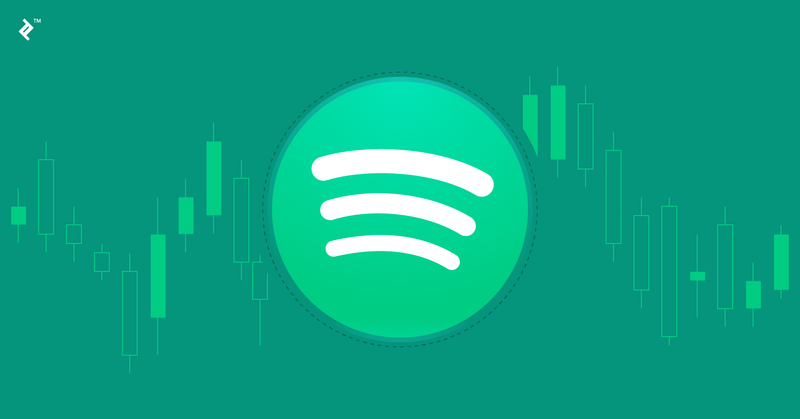 The direct listing makes it legal for anyone to trade Spotify stock via the exchange, though the price and resulting valuation of the company will be up to the market. They are still enlisting the help of three advisors: Goldman Sachs, Morgan Stanley, and Allen & Co.
Why Did Spotify Choose This Option? Established brand name and business model. First and foremost, Spotify does not need to raise cash. Spotify is the leader of audio streaming services, with at least 60 million global paying subscribers. While Spotify boasted $3.3 billion in revenue in 2016, it’s never turned a profit. Still, its name recognition might render the meet-and-greets typically facilitated during a normal IPO unnecessary. Lower investment bank fees. Spotify’s three advisors are meant to split around $30 million in fees, though this is subject to change. This is in sharp contrast to the $100 million in fees that technology company Snap Inc. paid in 2016 to go public, with a valuation similar to that of Spotify’s. Achieve liquidity while avoiding dilution. Typical IPOs come with “lockup periods,” which prevent existing stockholders from selling company stock for 3-6 months. However, direct listings do not require these lockup periods and allow existing holders to sell shares on Day 1. Convertible debt deal. Another potential motivation behind the approach involves a complicated $1 billion convertible debt note it received from investment firms TPG and Dragoneer in 2016. However, the terms of the convertible debt came with strict guarantees tied to an IPO. In short, the longer Spotify stayed private, the better the terms for the lenders. Therefore, some speculate that this played a role in the decision. Price volatility. Price volatility is a risk for investors since there’s been minimal deal support, direct listings are not designed for long-term holding, and there’s no greenshoe option to help stabilize stock prices. Pave the way for other high-growth companies. If this method proves lucrative, similar companies might look to adopt this model. 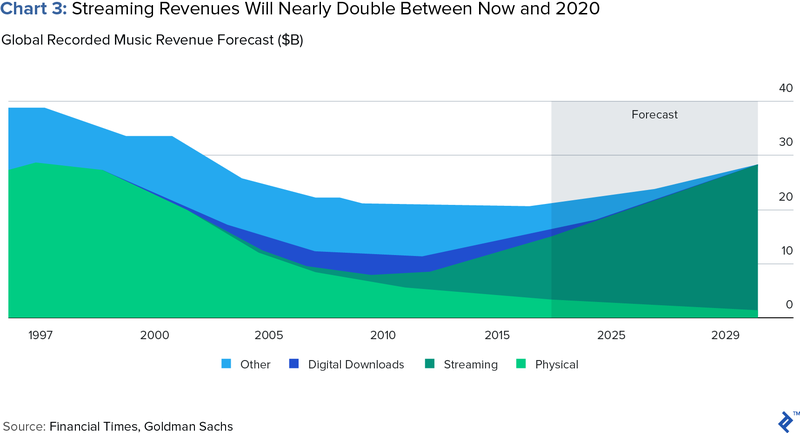 As unicorns increasingly eschew the public markets, Spotify’s debut could pave the way for decreased barriers to public markets and further decoupling of liquidity from fundraising. Later this year, Stockholm-based music streaming service Spotify will move its headquarters from Manhattan’s Chelsea neighborhood downtown to the Financial District. Beyond its physical presence in lower Manhattan, Spotify will also make its mark at the New York Stock Exchange when it goes public via direct listing, an unusual method for a company of its size. What is expected to be the largest tech public debut of 2018 has set Wall Street and the music industry abuzz, with everyone eager to see how this unconventional approach will play out. This article will cover everything you need to know: a brief overview of the typical IPO process, how the direct listing will function, why Spotify chose to buck tradition, potential motivations behind the decision, and its potential implications. Before we dive into why the Spotify direct listing is widely considered a “non-IPO,” we must first consider how IPOs traditionally function. Initial public offerings (IPOs) are a means for which a company can raise funds by allowing others to purchase ownership. Before the IPO, the company is owned by founders, early employees, and investors. This influx of capital can be used to further develop the company (organically or through acquisition), but also dilutes the stake of the original owners. The company hires one or more investment banks for a process known as underwriting. Underwriters help the company create demand for the stock with certain investors, establish a fair price, and allocate shares. Together, the lead investment bank, the party with the primary directive on the deal, and the company will decide on the amount of money they’re looking to raise, the type of securities to be issued, and how it will be structured. Once decided, the underwriters will prepare and submit documentation for the SEC to review, conduct due diligence on, and decide a date (the effective date) when the stock will be offered to the public. In the meantime, the investment banks go on a road show where they court large institutional investors and analyze initial demand for the shares. IPOs are often focused on institutional investors since smaller investors don’t have the amount of capital necessary. As the effective date approaches, the underwriter and the company will decide on an offering price, the price at which the company will sell its shares to initial investors. Once the shares start trading in the open market to other investors, the opening price might be different. Typically, when the company begins trading on the exchange, the opening auction is uneventful since the stock’s worth is already somewhat established. However, there are exceptions to the rule, as Facebook’s 2012 IPO proves. It was famously a bust because the IPO price is not always a reliable indicator of what the market price will be. On January 3, 2018, Spotify filed a confidential registration with the SEC, indicating its intention to list its shares on the New York Stock Exchange (NYSE) in the first quarter of 2018. This is not a surprise given its signals of going public in 2017. The Spotify IPO was eventually delayed in order to strengthen their position by revamping their licensing relationships with labels. However, there are several aspects of the Spotify process that are surprising. For one, it is pursuing an unusual direct listing and is not looking to raise capital. In the last two decades, there have only been 11 examples of direct listings. 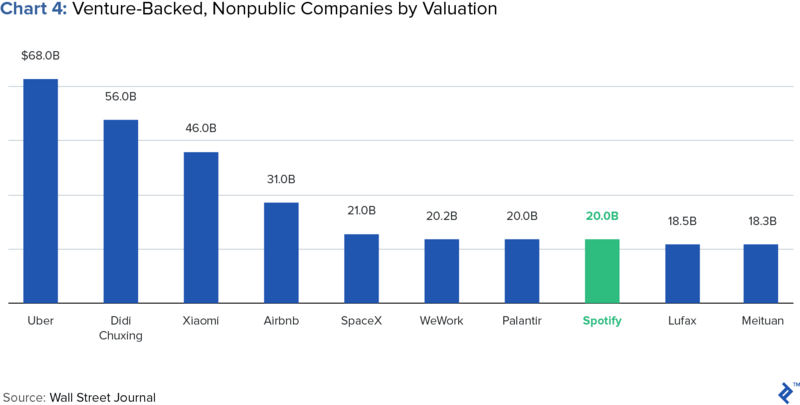 It’s typically been used by smaller companies that don’t anticipate much trading volume; the median market capitalization of these companies is $530 million. In contrast, Spotify was valued at $8.5 billion in 2015 when it last raised money and is currently valued at around $19 billion. With a direct listing, Spotify is bypassing the extensive underwriting process. Spotify won’t predetermine which buyers receive which portion of the company’s shares, a key feature of a typical IPO. Spotify’s direct listing will make it legal for anyone to trade Spotify stock via the exchange, though the price and resulting valuation of the company will be up to the market. However, they are still enlisting the help of three advisors: Goldman Sachs, Morgan Stanley, and Allen & Co. There are many reasons why Spotify might choose to pursue this route, including the facts that it does not need cash and that it wants to avoid underwriter fees, achieve stock liquidity, and create favorable conditions around the $1 billion in convertible debt attained in 2016. Other potential reasons include avoiding the hassle of an IPO and the potential disaster of a mispriced offering—as witnessed with Blue Apron. First and foremost, Spotify does not need to raise cash. 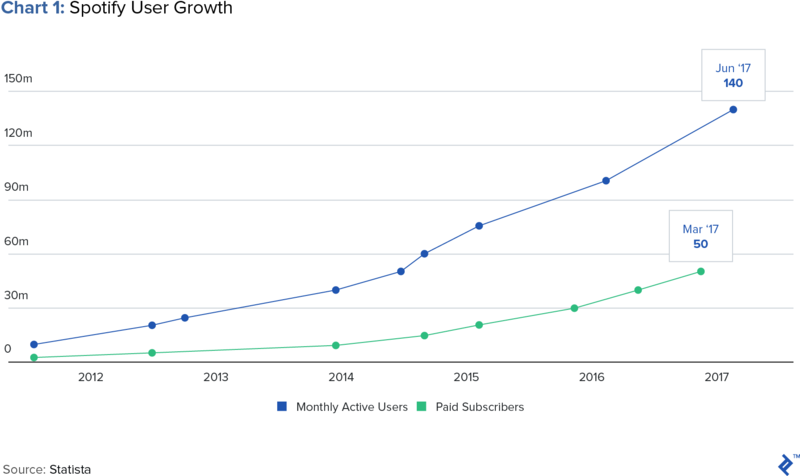 Spotify is the clear leader of audio streaming services, with at least 60 million global paying subscribers and an additional 80 million who use its ad-supported free version. It beats out its competitors, including Apple Music service, which currently has 30 million subscribers. However, it’s important to note that while Spotify boasted $3.3 billion in revenue in 2016, it’s never turned a profit. Still, its name recognition might render the meet-and-greets typically facilitated during a normal IPO unnecessary. Spotify’s three advisors are meant to split around $30 million in fees, though this is subject to change. This is in sharp contrast to the $100 million in fees that technology company Snap Inc. paid in 2016 to go public, with a valuation similar to that of Spotify’s. Spotify’s move might reflect a fledgling underwriting business, which has been damaged by decreased IPO activity as tech companies increasingly turn to private financing. While equity capital markets (ECM) fees from US companies have historically represented about a quarter of total US investment banking revenue, in 2016 and 2017 it accounted for only 13% and 15%, respectively. Typical IPOs come with “lockup periods,” which prevent existing stockholders from selling company stock for 3-6 months. These periods are typically written into contracts to prevent the market from being flooded with a high volume of shares, which might put downward pressure on Spotify’s stock price. However, direct listings do not require these lockup periods and allow existing holders to sell shares on Day 1. This is likely an important motivation for Spotify. According to David Golden of Revolution Ventures, “Typically, venture capital investors in the company may sell some shares in the IPO or they may distribute shares to their fund investors, who can then sell or hold their stake. Company employees with stock or options also have a way to cash out…The company provides a path for patient investors to sell their shares as soon as the listing is effective.” And, as an additional benefit, there won’t be stock dilution since the share count won’t increase as it does with normal IPOs. Another potential motivation behind the approach involves a complicated $1 billion convertible debt note it received from investment firms TPG and Dragoneer in 2016. Convertible debt is best understood as bonds that can be exchanged for equity at specific times in the bond’s life. However, the terms of the convertible debt came with strict guarantees tied to an IPO. On the condition of Spotify going public, TPG and Dragoneer would be able to convert debt into equity at a 20% discount to the share price. And, after a year’s time, this discount would increase by 2.5% every six months. Additional terms included Spotify paying annual interest starting at 5%, increasing 1% every six months until the company goes public, or until it hit 10%. In short, the longer Spotify stayed private, the better the terms for the lenders. Therefore, some speculate that this played a role in the decision. Some even argue that Spotify’s direct listing is a creative solution allowing it to “exit their own valuation purgatory” since investors might not be willing to back Spotify stock at such a high valuation. However, others are wary, noting the high likelihood of TPG and Dragoneer’s debt converting to equity even if Spotify doesn’t technically hold an IPO. Concerns and Potential Implications – Will Spotify Stock Soar or Plunge? There’s minimal deal support. By foregoing the underwriting process, Spotify will not have the stability from careful banker maneuvers and arrangements with institutional investors. And, first-day trading performance has proved very important for high-profile public offerings of tech companies like Spotify. The IPO process is designed for long-term holding. Traditional IPOs are designed for large, long-hold funds to buy the stock. These funds are desirable since they’re less likely to short the stock soon after an earnings miss. They typically like to participate in IPOs because they can get a “starter position,” eventually buying into the market for a full position size. However, if these funds do not generate enough demand, Spotify’s new investors could end up being hedge funds looking for a quick flip. No greenshoe option. A greenshoe option, widely considered “an IPO’s best friend,” is a contractual clause that allows underwriters to buy an additional 15% of shares at the offering price in the aftermarket. According to Sarah Davidson of Sanford C. Bernstein, “There is an implicit responsibility of the lead manager to provide some support by buying unwanted shares. However, the underwriters are not in the business of ‘owning’ stocks. Eventually, the shares must trade on their own.” The greenshoe option can help to stabilize a stock price when demand is lower than anticipated. This is what happened during the disastrous Facebook’s IPO in 2012, when lead underwriter Morgan Stanley helped stabilize the issuing price of $38. Most agree that “it would be a massive speed bump if Spotify did a faceplant.” However, while some believe Spotify is “too big to fail” and will continue to ride the consumer streaming wave, others believe Spotify simply isn’t meant to become public, a move that could derail the industry. It should now be clear that the Spotify direct listing is a calculated risk. While there are certainly potential downsides, if this method proves lucrative, other high-growth companies might look to adopt this model. As unicorns increasingly eschew the public markets, Spotify’s debut could pave the way for decreased barriers to public markets and further decoupling of liquidity from fundraising. If large tech companies follow suit, it would not bode well for bankers and the capital markets, which are already suffering from decreased activity. 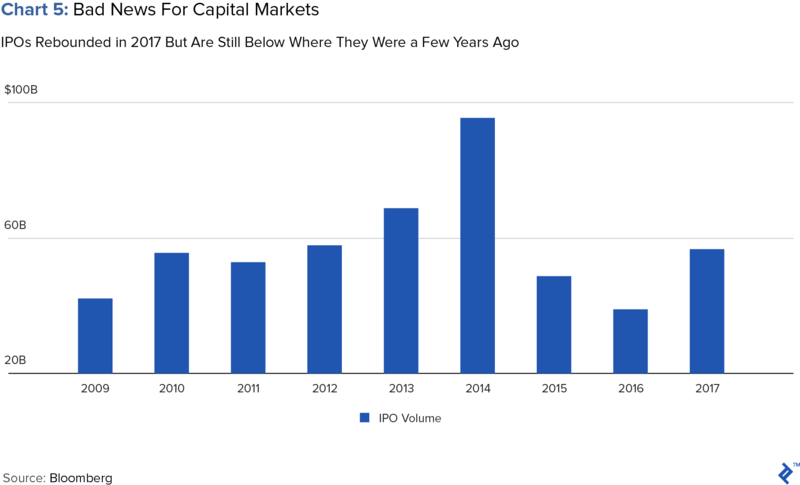 While IPOs made a minor comeback in 2017, they are still at levels far below where they were in the mid-2000s. The Wall Street Journal said the public markets were “shrinking before our eyes.” Private funding has allowed companies to select their investors, while public funding, where average investors can buy in, has become a last resort. Still, others are more enthusiastic, viewing IPOs and public offerings simply as a transition mechanism from the private to the public market. Jay Ritter, University of Florida Business School professor, says a viable IPO market doesn’t have to be very big. So, Spotify could show a viable new way forward. It’s possible that choosing to pursue a direct listing was borne out of necessity; it’s also possible that it was Spotify’s clever attempt to revolutionize an established practice. Undoubtedly, though, it was a ballsy move. Wall Street and Spotify won’t be the only ones invested in how it all unfolds. The music industry will be as well. After all, Spotify has revolutionized music distribution and if the strategy proves unsuccessful, major record labels and artists will also feel the pain. What is the meaning of IPO in the stock market? An “IPO” is short for an initial public offering, the process by which the stock of a private company is offered to the public. How does an initial public offering work? The company hires underwriters to create demand, establish a fair price, and allocate shares for a stock. They decide the amount they’re looking to raise, type of securities to be issued, and how it will be structured. They will submit documentation to the SEC and court investors as well as determine the offering.